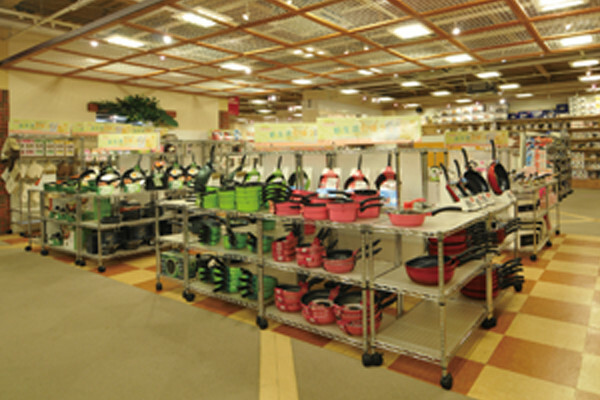 Focusing On Houseware Mainly Used in Kitchens And Living Rooms to All Over Japan And the World, We Developed Products Truly Answering Our Customers' Needs. Since its foundation in 1967, Pearl Metal Co., Ltd. has been supplying products to the markets, focusing mainly on the goods used in kitchens and living rooms as well as leisure products used for outdoor activities, party goods and fancy goods, showing the customers new trends of life and changing image of the items in the new life culture. Furthermore, our company has also been participating world exhibitions by challenging export to other countries. Our company has been sending to the domestic as well as world market products that make our various daily life in the modern times so colorful. So far as the housewares are concerned, we set our theme of product development as "proposing a new kind of living culture", developing products that satisfy the needs of our customers. As for the outdoor wares are concerned, since our company is the very forerunner in this field, we constantly develop new products which our customers enjoy in their outdoor life. Since the demands of our customers keep changing all the time, our company makes plans always half a year ahead. While we are checking market trend and goods popularity we never forget to check the prices so as to ensure the price level fits our times. We never stop developing our products with new ideas and thoughts. It is the brand for our products used in kitchens and living rooms.The scope of our products in this category expand from pots and cooking utensils to small items in kitchens as well as cutting knives. Now keeping a watching eye on the changing life styles, we are developing products in more fields like interior items, creating different kinds of products that make our life more and more colorful. It is the brand for products used outdoor or with leisure activities. We started with BBQ stoves and outdoor tableware, but now we provide a wider range of products in this field, including tents, sleeping bags and cooking tables. Our range of products has been even expanded to include cycling goods, canoe products, as well as gardening goods, thus we have established fame of being the all-round outdoor brand maker. Herd of bucks moves slowly in the vast land, walking in front of the group is a male deer (a stag) as the leader, who plays a key role in leading the group to a safe place, being totally entrusted by all others in the group. The unified brand "Captain Stag" has been established for our outdoor goods following the image of such leading stag as a reliable existence in the great nature. Aiming at the top of something, people tend to be conservative with his ideas and thoughts, or to give too much consideration to the making of goods, resulting in raising prices which are too high to be reached and thus make the whole things to be non-sense. Based on this point of view, we give our top priority to the easy-use and friendly-price while developing all our products to support our customers by a more pleasant, more enjoyable way in their outdoor activities. In the early stage of the brand establishment, we mainly manufactured stoves for BBQ and table wares for outdoor activities. Later we expanded the product range to include tents, sleeping bags, tables, chairs and many other accessories as well as many kinds of small items. We have such abundant kinds of goods that the brand of Captain Stag alone can facilitate everything one needs for camping life. Captain Stag is not the brand only for camp-related goods, but also other outdoor activities in a broader meaning. Various kinds of goods in different genres are being developed, creating a wider line-up of outdoor life equipment in addition to goods for cycling, canoes, gardening and health care. 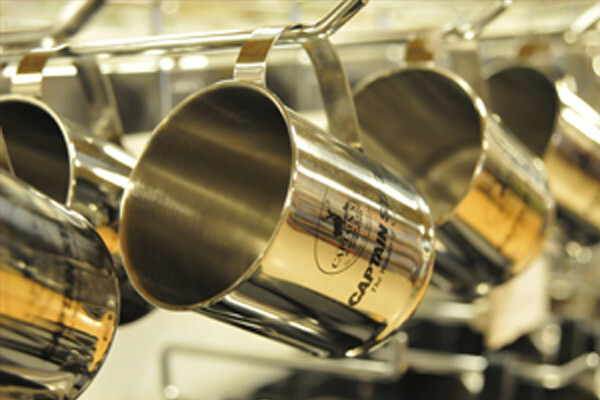 Goods under the brand of CAPTAIN STAG are developed and manufactured with strict quality control. As usual, we will continue to supply goods to the market so that people who have purchased our goods will simply feel ever valued to have chosen our products. In our showrooms at the Head Office, kitchen-living items and outdoor leisure activity goods are displayed same as retail stores. 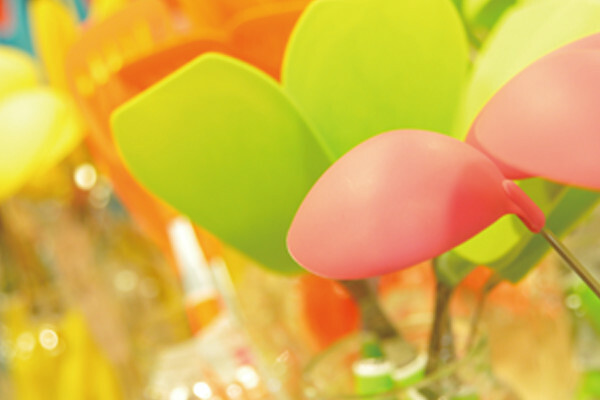 It gives ideas to retailers how to display at the the store shelves for customers' easy purchase. The display is changed twice a year for spring-summer and autumn-winter season, which enables visitors to grasp the image for their sales in different seasons in a year.